Heading into Summer, I’ve lined up a few guest bloggers for my Celebrate Summer Series to bring you inspiring crafts, tutorials, DIY decorating and more. 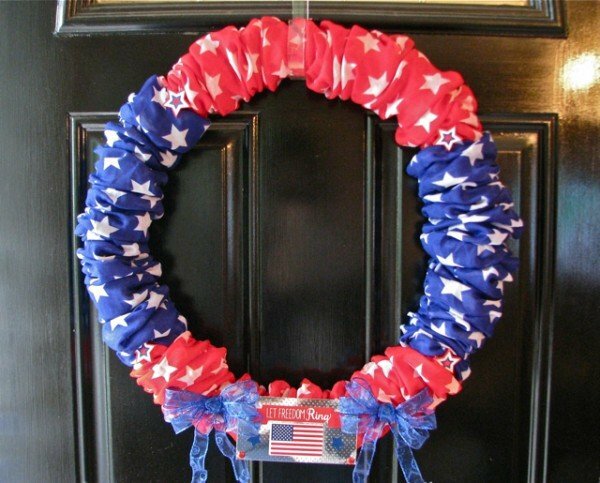 Please welcome Niki from Homemadeville as she shares her DIY Patriotic Wreath. Hi Everyone! I am Niki from HomeMadeville – Your Place for HomeMade Inspiration. I am so excited to be guest posting for Kim’s Celebrate Summer Series. 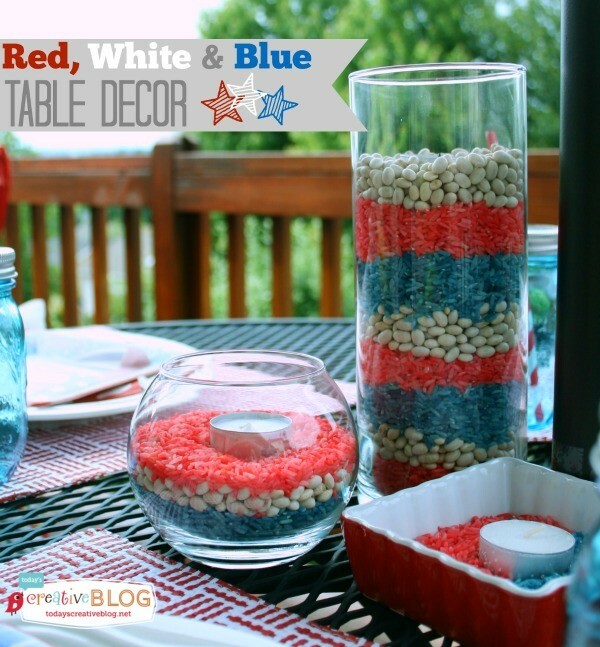 Independence Day is just around the corner, and I wanted my home to show its patriotic side before the grills get fired up and the fireworks are lit. 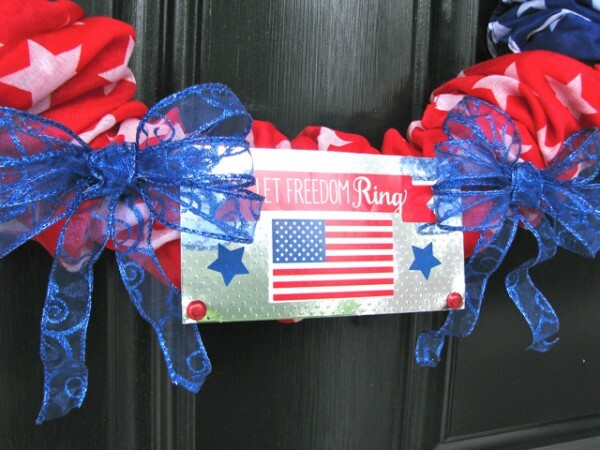 So, I created a wreath for my front door that is perfect for any holiday that celebrates the Red, White and Blue. I started with an inexpensive wreath made of reeds and 4 starry scarfs that I found at my local store where everything is a dollar. I started by loose stitching each scarf long ways around the wreath and then scrunching it up and moving on to the next until all scarfs were stitched around. 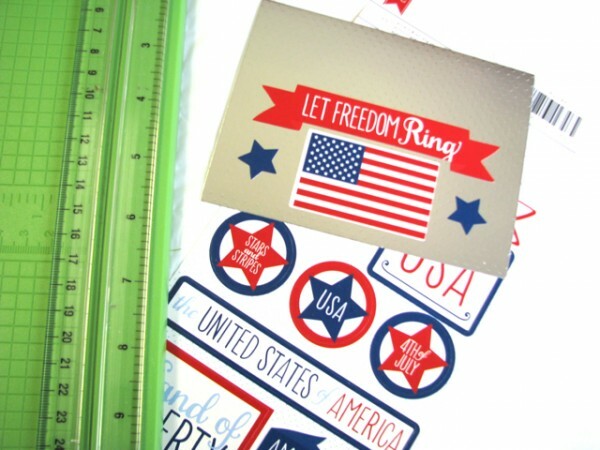 A shiny notecard with patriotic stickers makes a perfect “Freedom Plaque”. Next, I decorated a silver note card with flag, stars, and “Let Freedom Ring” stickers. Then I trimmed the excess from the card. Later, I added red glitter brads in each corner to give the card a more polished look. 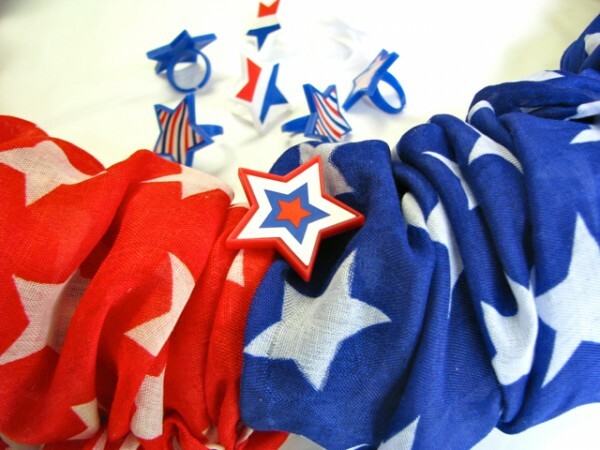 Between the scarfs, I placed red, white and blue starred plastic rings, which look like buttons on the finished product. They were easily looped around the reeds of the inner wreath form. 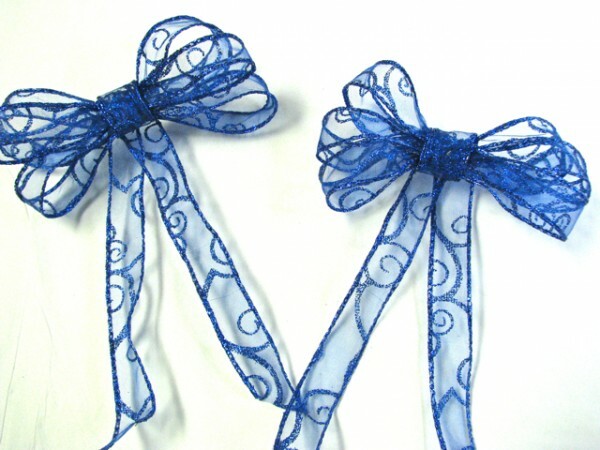 I then made two small bows from glittery blue ribbon I had on hand. They do a great job of framing out the “Let Freedom Ring” plaque. I chose to use duct tape to attach my sign to the wreath just in case I wanted to change it out later. 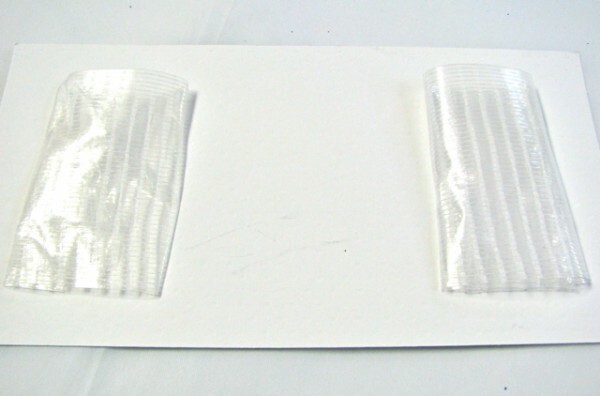 However, you could also hot glue or pin it into place for a more permanent solution. Once the final elements were added to the bottom of the wreath, it was ready for the front door. Now my porch will be patriotically festive until the 4th of July. 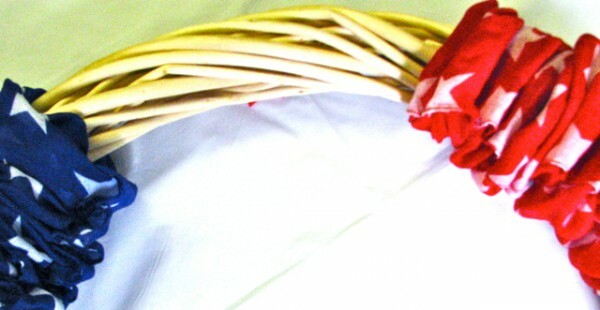 Although I created a patriotic wreath this time, these same techniques can be used for other wreaths as well. As a matter of fact, I created a summery bird wreath using scarfs, a styrofoam wreath, and a birdhouse. You can checkout that wreath and many other HomeMade projects at my blog, HomeMadeville. I would like to say a special thanks to Kim for allowing me to take the reigns for a little while to show off my patriotic wreath. 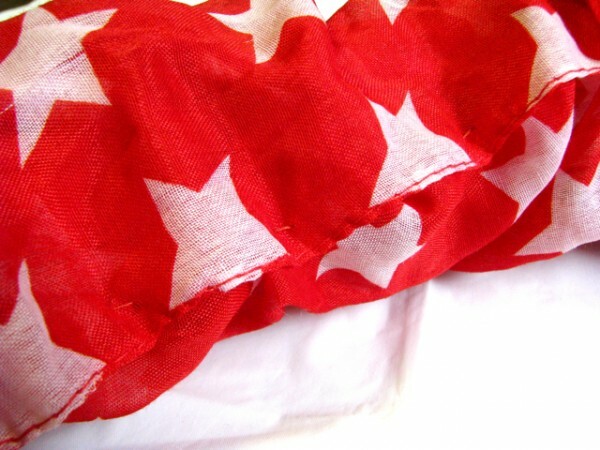 Have a Happy 4th of July…and Summer!! 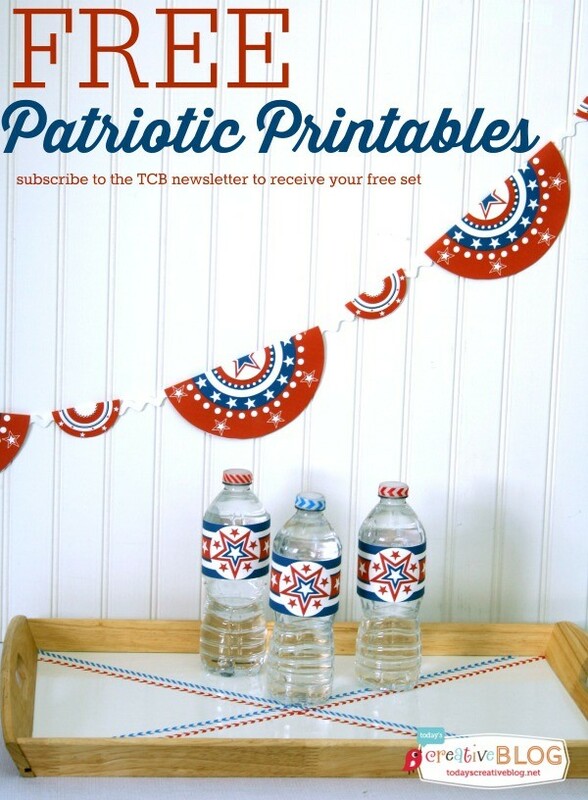 See more Red, White and Blue Craft Ideas – Click on the photos! Wowee! That turned out super-nice! Very festive and great for kids to help out with. 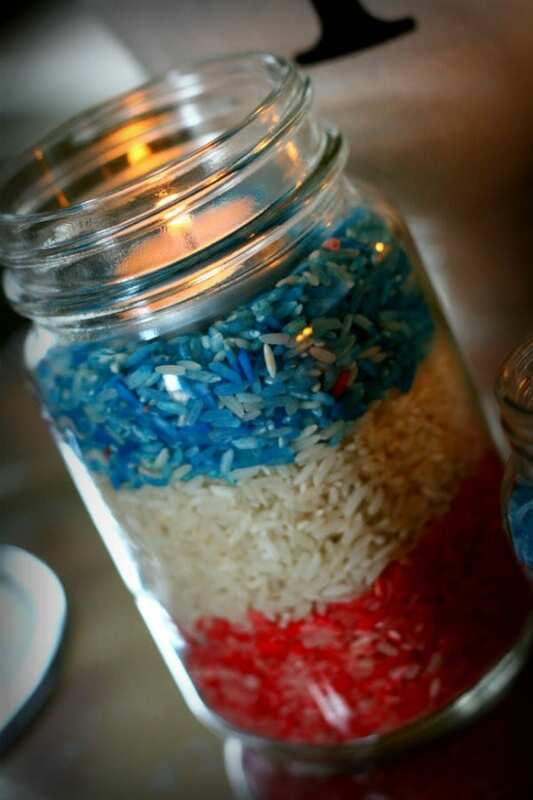 With all this red, white, and blue-inspired euphoria, I’m inspired to pass on some of the fun Patriotic picnic ideas I’ve done in the past.